Seabreeze B&B has 2 rooms. 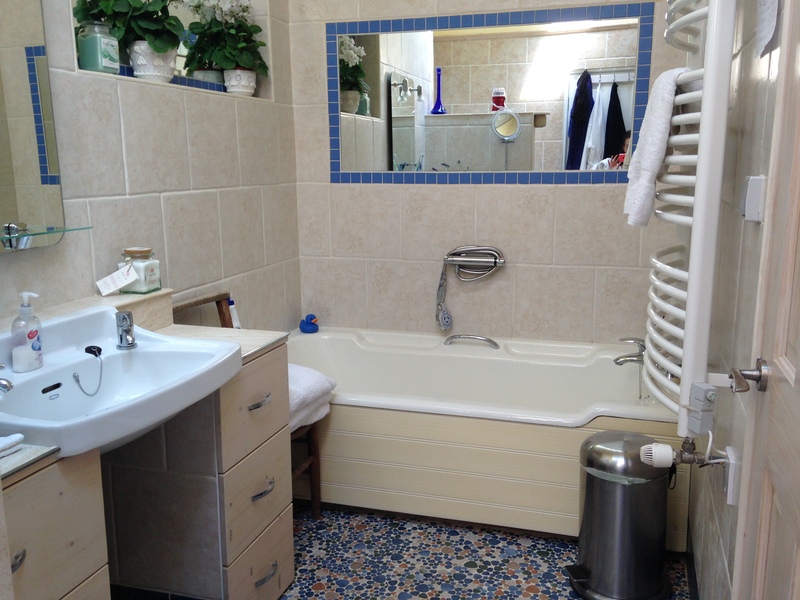 The LARGE double or twin bedded studio apartment has panoramic sea views and is the largest with a superb en-suite bathroom (separate shower and bath) and small kitchen area and its own entrance and balcony looking out to sea, and can be rented on a B&B or Self Catering basis. (Pictures are shown on the Seabreeze Self Catering pages). 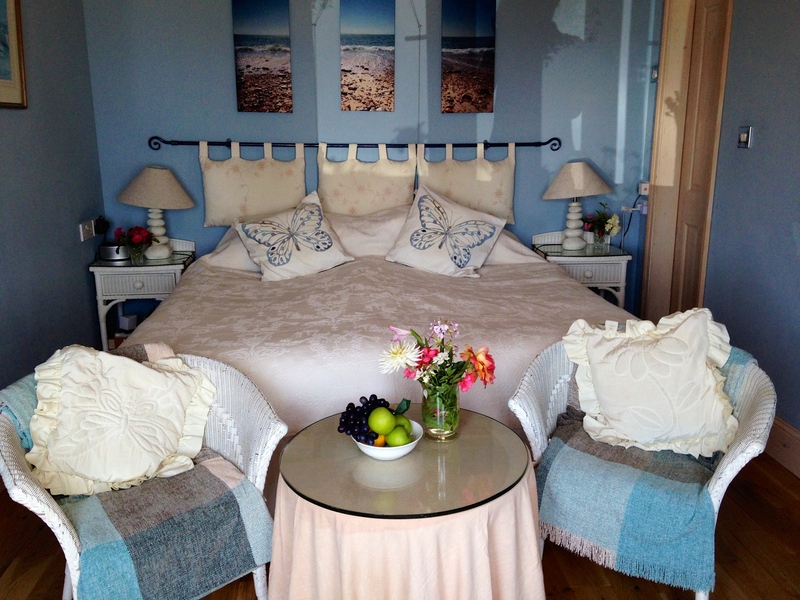 We also have a really super front double sea view room (king size bed or 2 singles) with a great sea view which you can see from the bed, a walk in wardrobe and super bathroom with separate shower and bath. This room has its own private front door to the sea view terrace where there is a table and two chairs for your use. Whilst we are confident you will enjoy the room we don't confine you to it! You are welcome to use the conservatory during the day until 6 pm, there are a couple of settees and a table so if you want to sit and read, play a board game or write your postcards you can do it in comfort - and everytime you look up the sea, the cliffs and the other islands are spread before you.